Remember how Intel was going to release Cannon Lake in 2016? And, then when it got pushed back to 2018? Well, according to Intel’s Q1 financial results we won’t see the long-awaited follow-up to Kaby Lake until 2019 – at least in a consumer-ready state. Exploring Cannon Lake is going to need some background because, well, it gets messy. 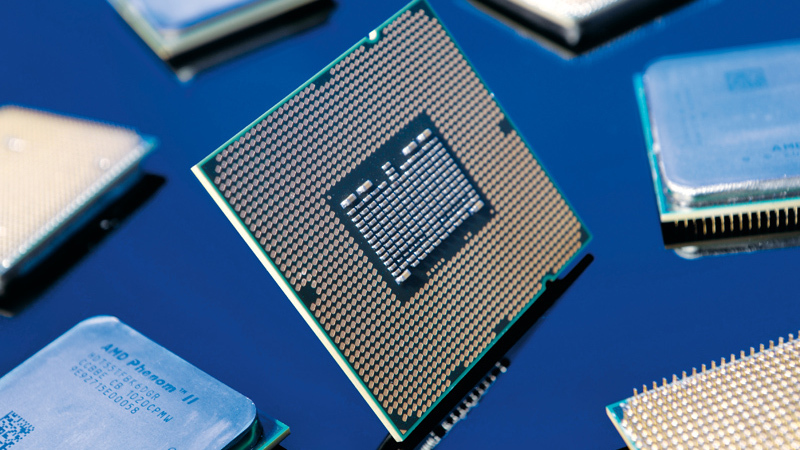 In the past Intel has followed an easy-to-follow “Tick Tock” release schedule, where each generation would alternate between introducing a new die process and architecture. This is why we all expected Cannon Lake to succeed Skylake way back in 2016. But, because reality can never be simple, Intel repeatedly pushes Cannon Lake back. Since Skylake, Intel has launched Kaby Lake, Coffee Lake and Coffee Lake Refresh: three more refinements of Skylake. We’re not even sure when Intel is going to release Cannon Lake, even if Team Blue is sticking to claims of a 2019 release. This delay in releasing 10nm processors partially explains why AMD is outselling Intel in the consumer CPU space. Intel keeps denying that Cannon Lake has been canceled, even though Sunny Cove will be Intel’s next architecture with Ice Lake appearing in the very release window we previously assumed would belong to Cannon Lake. And, while there has been a Cannon Lake laptop chip, we’re still trying to figure out exactly what Intel is doing. So, be sure to keep this page bookmarked, and we’ll update it with any new Cannon Lake information. We were supposed to get Cannon Lake twice already. The presumably 9th-generation Intel CPUs were initially supposed to follow Skylake in 2016, then Kaby Lake in 2018. But according to Intel’s Q1 2018 financial report, it’s “currently shipping low-volume 10nm product and now expects 10nm volume production to shift to 2019.” So, we’re probably not getting Cannon Lake in 2018. There was some recent speculation that pointed to Intel just cancelling Cannon Lake, because it wasn’t financially feasible to shift to 10nm. However, Intel came out and defended itself, saying that it was ‘making good progress on 10nm’ and that ‘yields are improving’. So, we just have to see when this smaller manufacturing process makes it to market. But, then we keep getting more and more evidence that Cannon Lake might never see the light of day. Intel just announced its Sunny Cove 10nm microarchitecture, for both server and client processors, for release in late 2019. So, is Sunny Cove just Cannon Lake rebranded? Is Cannon Lake cancelled? Who knows. Either way we’ll have to wait until at least 2019 to see Cannon Lake, or whatever it’s called now, but when in 2019? Well, we don’t know yet, but we did get our hands on a leaked Intel roadmap that shows Coffee Lake Refresh being Intel’s main platform through Q2 2019. But, given Intel’s recent supply issues, we could see the release pushed back to the latter half of 2019 or even 2020. Intel probably isn’t going to rock the boat too much here. We expect prices to fall in line with the current lineup of 8th-generation Coffee Lake processors. We’ve taken the liberty of listing some of the prices here. Unfortunately, we won’t know until Intel actually releases pricing information, but between generations, Intel doesn’t generally shift its pricing all that much. This is where things are going to get interesting. It’s been a very long time since we’ve seen a die process shrink at Intel, but when Broadwell succeeded Haswell (yeah, it’s been that long), we saw 30% gains in efficiency. This will mean that battery life in the best laptops will surge, and we’ll be able to overclock even harder while keeping temps manageable. Tom’s Hardware has reported that a dual-core Cannon Lake CPU was shipped last year according to a Spectre microcode guidance document, but it’s highly unlikely that consumer units will be the same. Otherwise, AMD would eat them alive for that. We’ll likely see higher core counts, as Intel is going to want to go up against AMD in a major way. 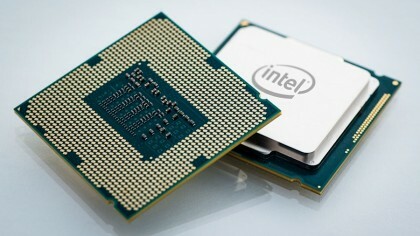 This dual-core chip was likely that Intel Core i3 8121U processor that was just listed by Intel. According to the product listing the processor features two-cores and four-threads delivering 2.2GHz of base performance and boost clock of 3.2GHz. It also has a TDP of just 15W and a 4MB cache. And, Anandtech seems to have got its hands on a laptop running that Core i3-8121U for testing – and, well, it’s not the next-generation revolution you were expecting. It beat the Kaby Lake Intel Core i3-8130U in some benchmarks, but many of the tests put the Cannon Lake mobile chip behind in power, while consuming more power. 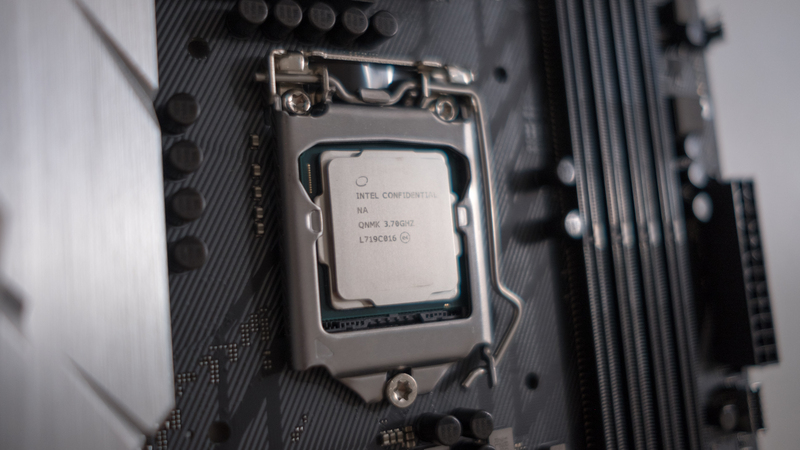 We’ve also seen a leaked document that suggests a new X399 chipset in the works that would support existing Coffee Lake CPUs and possibly Cannon Lake processors as well, suggesting enthusiasts won’t need to upgrade their motherboard to get on the Cannon Lake train. If the newly-announced Intel i7-8086K is any kind of clue as to what we can expect from future Intel products with its 5GHz boost clock, we won’t only see high core counts as a result of the move to a 10nm process, but crazy high clock speeds as well. Ultimately, we won’t know what performance advantages Cannon Lake CPUs will offer until Intel shares some more information about it, but because it’s been pushed back until 2019. It’s likely we won’t hear anything from the tech behemoth until Computex 2019. But, don’t worry if anything changes, we’ll update this page. So, keep your eyes glued to this page.